VOX produced the PHANTOM XII between 1963 and 1967. 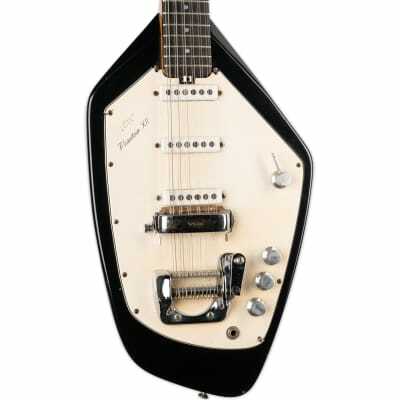 It was the 12 string version of the Vox Phantom VI and both a distinctive, five sided body shape. Initially made in England for the Jennings company, manufacture was later relocated to Italy. 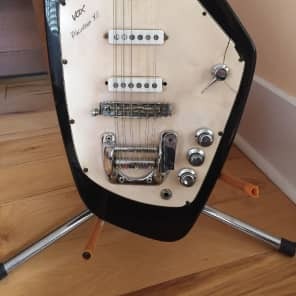 The Vox Phantom XII was also made in a stereo version from 1966 to 1968. Take the VOX PHANTOM XII price survey. Buy VOX PHANTOM XII electric guitars.